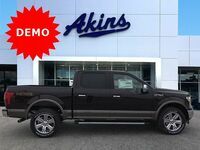 There are many reasons why the Ford F-150 lineup has been America’s favorite truck lineup for well over 40 years, but it really all boils down to the fact that each and every new Ford F-150 lineup enters each and every new model year featuring best-in-class power ratings and best-in-class capability specifications. 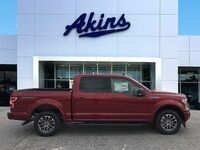 That holds true for the 2019 Ford F-150 lineup here at Akins Ford near Atlanta, GA. Once again offering best-in-class, well, everything, the 2019 F-150 lineup maintains the model’s stranglehold on the top spot in its class. 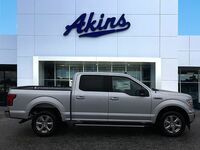 But the 2019 F-150 lineup is more than just the best full-size pickup truck around, as it’s also simply the best overall pickup truck available today – a point we’re setting out to prove right here in this 2019 Ford F-150 versus 2019 Toyota Tacoma pickup truck comparison. We need to start off this comparison by noting that the 2019 Toyota Tacoma is a mid-size pickup truck and not a full-size pickup truck like the 2019 Ford F-150, but our customers want to see how the 2019 F-150 lineup stacks up against all of its competition so that’s exactly what we’re going to give them. 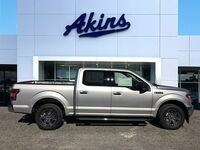 Even noting the size difference between the two truck lineups, the power and capability advantages held by the 2019 Ford F-150 are still pretty astonishing. As you can see in the table above, the 2019 Ford F-150 lineup decimates the 2019 Toyota Tacoma lineup in every major category – including standard horsepower and torque ratings, available horsepower and torque ratings, and maximum towing and payload ratings. 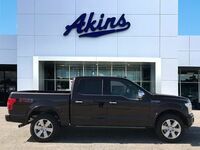 If you’d like to learn more about the 2019 Ford F-150 lineup and all of its best-in-class features and capabilities, please get in touch with our friendly Akins Ford staff near Atlanta, GA.